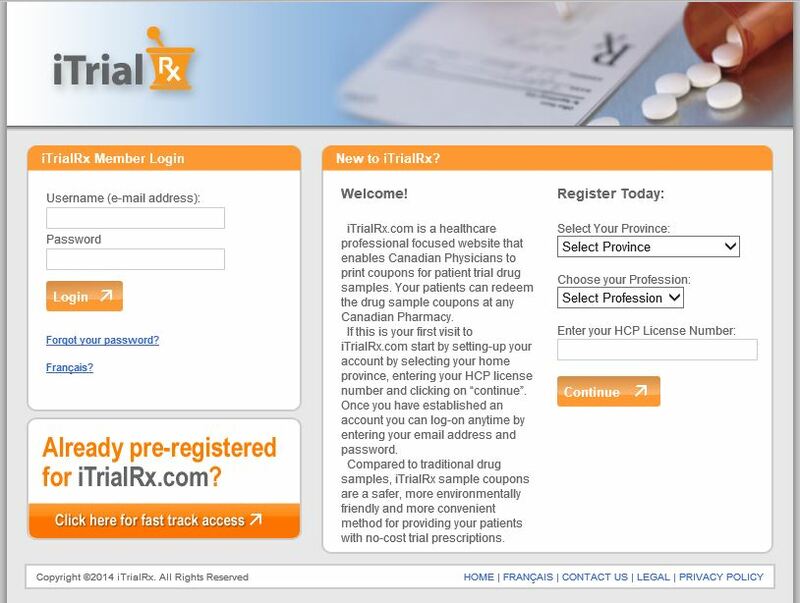 iTrialRx.com is a healthcare professional focused website that enables Canadian Physicians to print eSample cards. Patients can then redeem the drug sample cards at any Canadian Pharmacy. Physicians begin by setting-up an account by selecting their home province, and entering their HCP license number. Once an account has been established doctors can log-on anytime by entering their email address and password. Compared to traditional drug samples, iTrialRx sample cards are a safer, more environmentally friendly and a more convenient method for providing patients with no-cost trial prescriptions.